Americans revel in tales of a "big con" like The Sting and Ocean's Eleven. Medicaid has an ongoing big con that is huge yet so well hidden that We the Sheep do not know we are being fleeced... by our own government. Any good con has three parts: the mark -- the one who is conned; the take -- what the con man gets; and the fake, the illusion or purposeful distortion of reality. The bigger the take, the more marks conned, and the grander the fake, the bigger is the con. By those criteria, Medicaid's estate recovery program, also called its "claw-back," is a very, very big con. Medicaid rules allow the recovery of money from the estates of deceased Medicaid recipients. The children and heirs of people enrolled in Medicaid and eventually die must pay the government back. This is named the Medicaid Estate Recovery Program or MERP. The size of your government bill varies from state to state but includes (1) an "administrative fee" of $611 per month from age 55 until Medicare enrollment, and (2) a percentage of the medical bills incurred. The heirs can get a bill $73,320 (admin fee) plus anywhere from a few more thousands of dollars to hundreds of thousands of dollars for their parent's care, especially the terminal time, which is typically the most expensive. If the deceased parent owned a home or there was still pension money left, Medicaid will try to grab it. This is the take of Medicaid's estate recovery program. The federal government provides the legal framework through the Omnibus Reconciliation Act (OBRA) of 1993. Through Medicaid enrollment, the government feeds us into a meat grinder called estate recovery. While Medicaid is jointly funded by the States and by Washington, each state administers its own program independently, including whether they choose to impose estate recovery or not. Some states such as New Mexico (NM) do not use MERP. NM state administration concurs with Paul Craig Roberts, Former Assistant Secretary of the Treasury for Economic Policy, who called estate recovery "a pernicious death tax on those who have the least and are the most vulnerable." Although Medicaid enrollees now compromise more than forty percent (815,000 individuals) of the NM population, and despite a $417 million budget shortfall, NM Medicaid chose to "claw back" a total of $9000, which represents 0.00000003 percent of its revenue ($9000/$3,000,000,000). Other cash-strapped states, such as California, Illinois, and Connecticut, take a rather different approach. Nationally, Medicaid programs recovered $361,766,396 from the poorest segment of our society in 2004. There are no more recent reports. This is alarming because of the lack of transparency, in stark contrast to President Obama's promise of "the most transparent administration in history." Not knowing how much was clawed-back is even more worrisome because the Affordable Care Act dramatically increased the number of individuals subject to MERP but we don't know how many were affected or how much was taken from them. 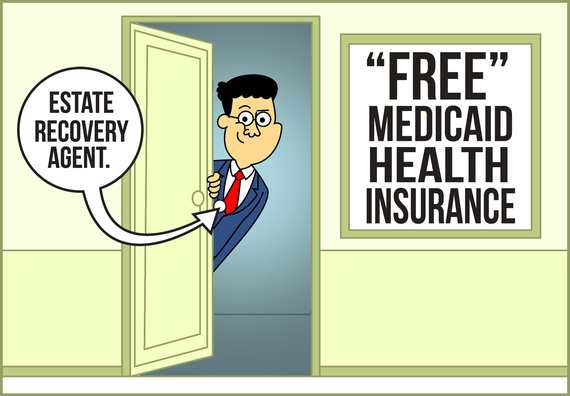 The illusion or fake is that Medicaid is "free." They say you get insurance coverage and "all the care Americans deserve," and you don't pay a thing. Strictly speaking, that's true. YOU don't pay. Your heirs do. The second part of the fake is what they don't tell you: auto-enrollment and even the existence of the claw-back program. Some states include estate recovery in very fine print in the eleven-page Medicaid contract. Other states hide it entirely. In fairness, the Affordable Care Act did not create estate recovery. It was started in 1993 with OBRA. However, Obamacare is culpable for protecting the illusion that Medicaid is free and extending this very not-free -- expensive and unaffordable -- benefit to millions. The Obama administration takes great pride in the number of Americans who now have insurance because of Obamacare. They claim a reduction in the uninsured rate from 14.5 percent to 9.2 percent and a net gain of 16.9 million newly insured individuals. 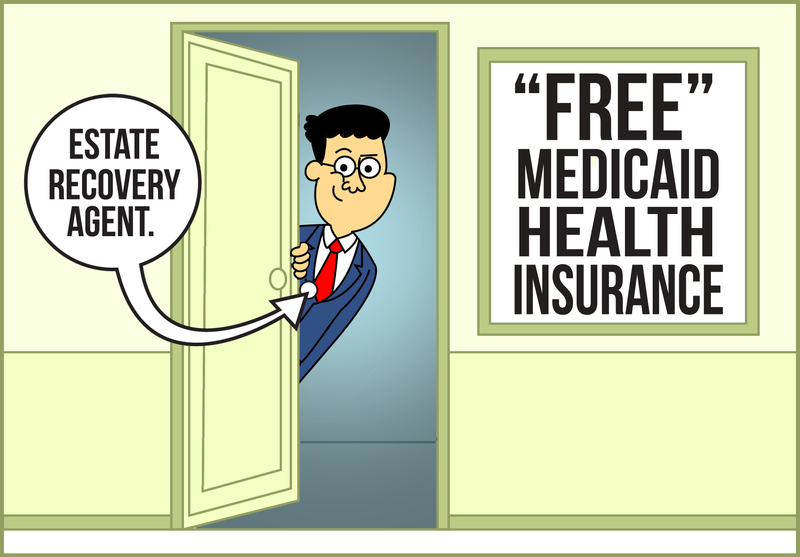 Between 84 and 97 percent of newly insured Americans are receiving "free" insurance through Medicaid. Should the government be proud that they turned seventeen million American citizens into seventeen million marks? In the movie The Sting, the mark is the villain and the conman is the hero. In Medicaid estate recovery, there is no hero. There is only a greedy, sneaky government conman who has tricked the poorest and most vulnerable members of American society and turned them into "marks." "Dr. Deane" Waldman MD MBA is the author of 2016 NIE Award winner The Cancer in the American Healthcare System; and Amazon Bestsellers Our Allies Have Become Our Enemies, and Washington's BARRC Is Its Bite. Dr. Deane is host of www.wecanfixhealthcare.info; Professor Emeritus of Pediatrics, Pathology and Decision Science; and Adjunct Scholar (Healthcare) for the Rio Grande Foundation, a public policy think tank. Dr. Deane serves as "Consumer Advocate" Director on the Board of the New Mexico Health Insurance Exchange. Opinions expressed here are solely his own and do not necessarily reflect those of the Board.